Counting cash by hand takes time and mistakes can be made. Make bill counting more efficient and eliminate errors with the Royal Sovereign bill counter. The latest addition to the Royal Sovereign bill counting line is the RBC-4500 electric bill counter with value counting and counterfeit detection features. What makes this model unique is its value counting function. The large LED display provides total bill count and value count by denomination. To use the value counting function, you will first need to separate your bills by denomination. Next, simply press the "Add" key on the unit. Then, press the denomination to be counted on the keypad. After the first bill denomination is counted, select the next denomination on the keypad to count. Continue these steps until all bills are processed. The display will show total number of bills and values of each denomination along with a grand total. The unit features a printer output for us of the optional printer. Print out total cash amount for accurate record-keeping and easier bank deposits. This bill counter gives users added security with its built-in counterfeit detection. The bill counter will automatically stop and signal when it detects a counterfeit bill using ultraviolet, magnetic, and dimension detection. The unit saves users time and effort by counting bills at three different speeds—900. 1200, and 1400 bills per minute—which are utilized based on the condition of the bills being counted. The unit's batching function creates batches of 1 to 999 bills for easy and accurate banding for quick bank deposits. Users will enjoy more organized stacks of money with the large front-loading hopper. The hopper holds an impressive 300 bills at a time, so you can count more bills in fewer stacks. The bill counter's auto-count feature will automatically start counting bills once they are placed in the hopper. It automatically stops once bills run out. Remember that the RBC-4500 electric bill counter makes bill counting more efficient while cutting down on counting errors. The value counting function provides total bill count and value by denomination for accurate record-keeping. The various speeds save users time and effort. And the unit's counterfeit detection system will help catch any counterfeit bills. 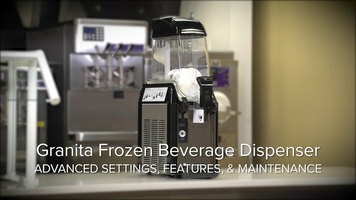 For our full line of bill counters, or for more information, go to RoyalSovereign.com, and thank you for watching our video! Save time counting bills and organizing bank deposits with this Royal Sovereign RBC-4500 electric bill counter. Capable of automatically counting up to 300 bills at a time, this RBC-4500 features a value counting function that provides total bill count and value by denomination, varying speeds dependent on bill quality, and a useful counterfeit detection system. 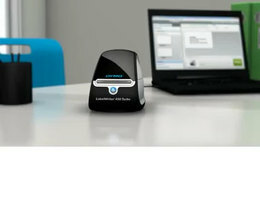 It simplifies bill counting and facilitates more efficient and accurate bank deposits and record-keeping. 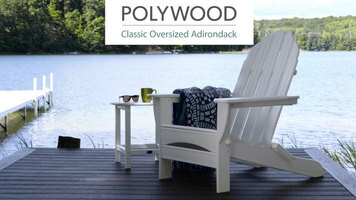 Meet the Polywood classic oversized adirondack chair and discover how it boasts just as much style as comfort!